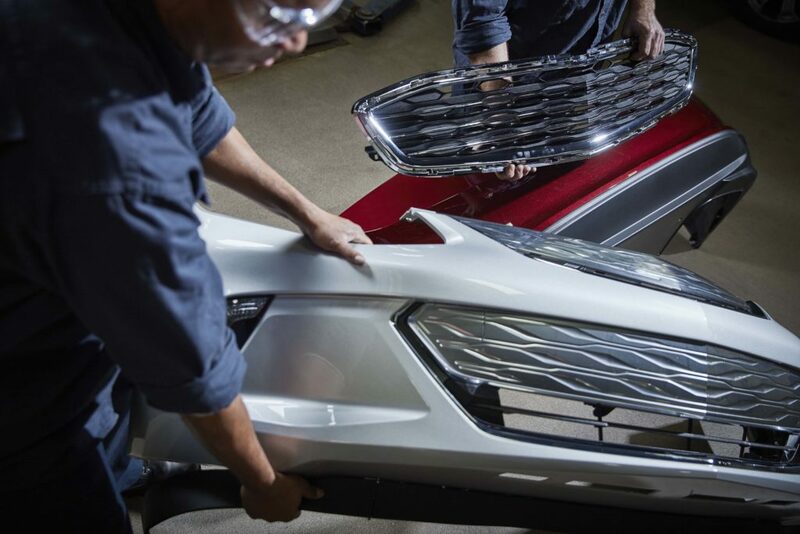 Stressing customer education and a quality repair as paramount, General Motors has outlined some of the standards to which it will hold auto body shops in its upcoming certified collision repair network. The nation’s No. 1 automaker will track key performance indicators such as whether a shop is following OEM repair procedures; scanning; and recalibrating vehicles, customer care and aftersales collision manager John Eck said in an interview Monday. 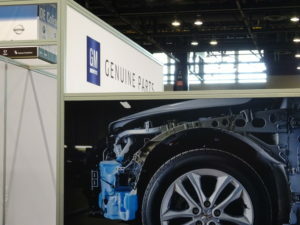 He said General Motors also plans to emphasize repairers with technicians, estimators, welders and painters at an appropriate level of I-CAR training and will be less likely to recommend shops using components such as salvage structural parts. Eck said GM derived the parameters of the program after a long investigation and consultation with body shops and dealerships. “We’ve taken a lot of that to heart,” he said. Eck said metrics like following repair procedures, scanning, calibration, quality control would be used to generate a score for auto body shops in the network. General Motors recently signed a deal with Mitchell to manage the program and monitor key performance indicators, he said. 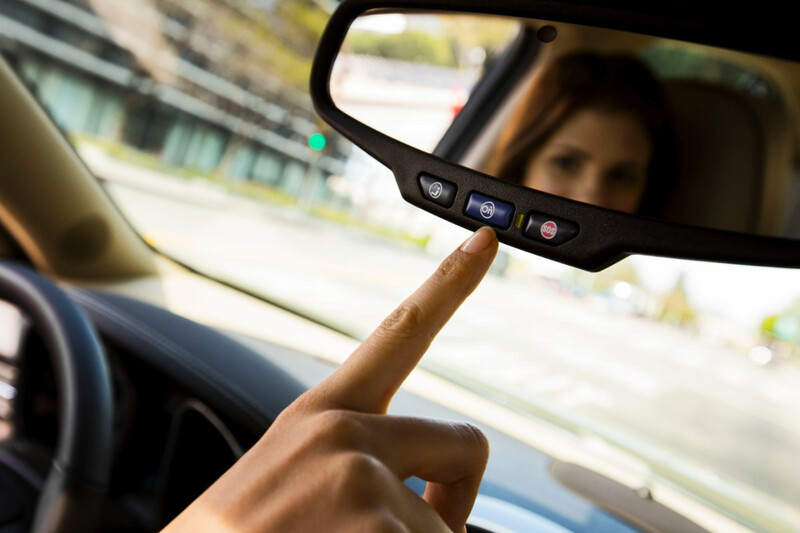 Higher-scoring certified shops in the market are more likely to be suggested to a customer through a General Motors platform such as OnStar, Eck said. 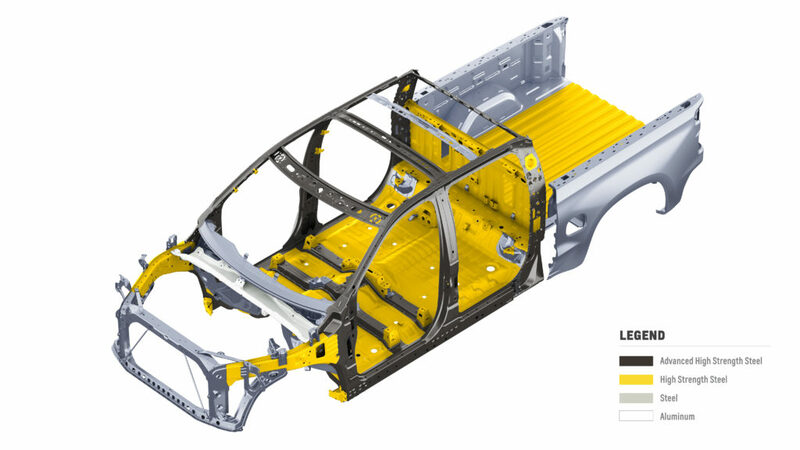 Eck said General Motors will require structural steel and nonstructural technicians to be I-CAR ProLevel 2 from the start, and “our goal” is for all of them to be ProLevel 3 by 2020. “The training is a moving target,” Eck said. All three components of I-CAR’s welding certification program will be required — including the aluminum welding segment. Eck said GM also was paying attention to the quality of employees like estimators and painters. He said GM hadn’t figured out what threshold an estimator will be required to meet, but pointed out the position held greater depth than its name suggested, such as repair procedure research and blueprinting. “There’s a lot more to that job,” Eck said. Eck said GM also “absolutely” cared about the talent of refinishers, as it wanted a vehicle to be returned to a customer with both a structurally sound repair and a cosmetically pleasing appearance. Asked how many of each type of technician would be required, Eck said he couldn’t say what an appropriate staffing level would be for a particular shop’s volume, but “I can’t imagine one person” doing everything. How could one comfortably refer a car that GM knew from first notice of loss needed extensive repair and structural welding to a shop without that capability,” Eck said. “Will we know that on Day One? Probably not,” he said. But such “capabilities-based assignments” were where General Motors wanted to go with its referrals. A technician trained to do a particular task repairing and signing off on work was “where we want to get to,” according to Eck. All GM was doing was stating that it expected people should anticipate the OEM would look out for its customers, according to Eck. “Uncompromised safety. That’s General Motors,” Eck said. It wanted to help educate and empower customers to understand vehicle complexity and help show them which shops were up to the necessary repair. The customer could then decide where to go, he said. Eck said General Motors engineers would provide the list of equipment, but he said the OEM would likely only demand a couple of brand-specific items. Other equipment requirements could be met by any gear meeting certain specifications, regardless of manufacturer. He did offer some details about what a shop will need. Repairers will need a frame machine able to perform vehicle measurements. However, shops won’t need a pricey rivet gun; that requirement will continue to stay isolated to Cadillac CT6 repairers certified under a separate network. General Motors will require all certified shops to have a set of dedicated tools, dedicated space and an aluminum dust extraction system, according to Eck. The OEM won’t follow the lead of rival Ford and allow shops to have separate certifications for steel vehicles and aluminum ones; everyone needs to be aluminum-ready, according to Eck. The OEM had “too much aluminum” not to do so, Eck said. 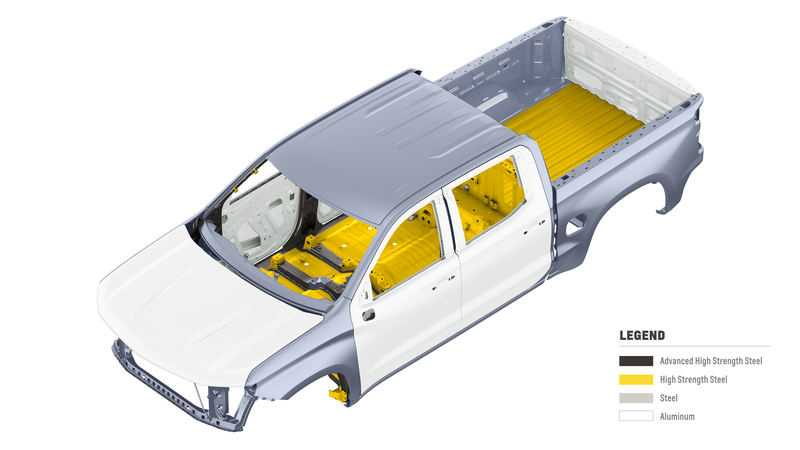 Though General Motors has stuck to steel bodies-in-white (with the Cadillac CT6 being a notable exception), the OEM has adopted aluminum panels on the exterior of vehicles like the 2019 Chevrolet Silverado (and GMC Sierra) and 2018 Chevrolet Bolt. While GM wants shops to be calibrating vehicles and most of its ADAS is reset in a “learn by drive” fashion, some systems may require infrastructure like targets, according to Eck. However, he said the OEM wasn’t at this point specifying that repairers had to perform all calibration in-house — it would still be possible to sublet the work to a General Motors dealership. GM just wanted vehicles returned to customers roadworthy and with everything completed. General Motors won’t restrict the sale of parts to uncertified shops, Eck said, noting that doing so could have negative ramifications for cycle time. “We’re not doing parts restriction,” he said. However, the OEM will be paying attention to a different parts issue. GM will frown on certified repairers installing used versions of “very safety-oriented” structural parts like quarter panels. General Motors expects its customers to receive a “proper safe repair,” and “that’s not a proper safe repair,” he said. Ultimately, a shop can install whatever they want. “That’s his business,” Eck said. But the owner’s decision “might jeopardize how we send him vehicles,” he said. Using salvage structural parts or anything else GM didn’t feel was appropriate was “going to impact his score,” according to Eck. Contrast that with an auto body shop consistently fixing cars in a manner GM would like. “That’s the kind of shop that we want our customers to consider,” Eck said. Asked about aftermarket parts that could be considered safety-related, such as wheels or bumper beams, Eck said the OEM would be considering such items over the coming months and hadn’t reached decisions on every one yet. Eck projected GM would start taking enrollments sometime between the end of the third quarter (which ends Sept. 30) and start of the fourth quarter. He said that’s why GM released new information about the program this weekend at NORTHEAST — repairers could say, “‘Oh, I need to get to here'” and be ready for the launch of the certified network. Shops interested in joining the network should continue to check www.genuinegmparts.com for more information, and Eck said another announcement about the program should be coming soon. Asked if the certified collision repair network would have a role in repairs to General Motors’ Maven and Cruise Autonomous Vehicle fleets, Eck said he couldn’t comment. He gave the same answer when asked if leaseholders would be required to take cars to certified collision repair network shops.